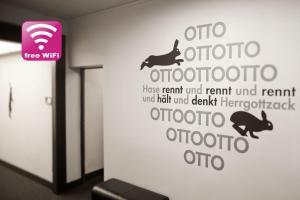 These modern apartments in Berlin's Kreuzberg district offer free Wi-Fi internet and on-site parking. 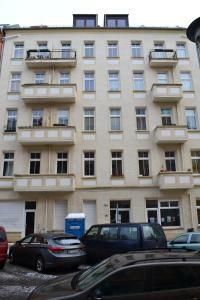 The self-catering apartments at Apartment & Boardinghouse Berlin Kreuzberg come with a well-equipped kitchen. 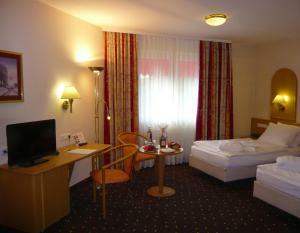 Towels and bed linen are supplied at no extra charge at the Apartment & Boardinghouse Berlin Kreuzberg. 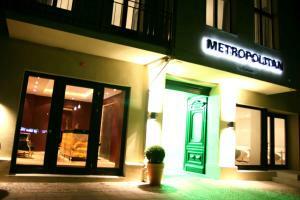 The apartments are an ideal base for shopping on the Friedrichstraße shopping mile. Holiday apartment 275335 This is how we would describe our apartment in a few words:Inside: comfy and relaxingOutside: popular MitteOur apartment Mitte Bauhaus II is located in the central and beautiful Kreuzberg area. Holiday apartment 275353 This is how we would describe our apartment in a few words:Inside: comfy and eye catchingOutside: temporary artOur apartment Wilhelm Friends is located in the central and beautiful Kreuzberg area. Holiday apartment 275629 'RATED EXCELLENT' tripadvisor'WINNER, Top Vacation Rental, Berlin' FlipKey'One of the most popular holiday apartments of the region' HomeAway.Downtown city landmark near Checkpoint Charlie. Holiday apartment 275727 This is how we would describe our apartment in a few words:Inside: simple studio styleOutside: Checkpoint CharlieOur apartment Heddeman Organik II is located in the central and beautiful Kreuzberg area. Holiday apartment 276163 This is how we would describe our apartment in a few words:Inside: simple studio styleOutside: Checkpoint CharlieOur apartment Wilhelm Weiss I is located in the central and beautiful Kreuzberg area. Holiday apartment 276164 This is how we would describe our apartment in a few words:Inside: simple studio styleOutside: Checkpoint CharlieOur apartment Heddemann Organik is located in the central and beautiful Kreuzberg area. Holiday apartment 276165 This is how we would describe our apartment in a few words:Inside: simple studio styleOutside: Checkpoint CharlieOur apartment Wilhelm Weiss II is located in the central and beautiful Kreuzberg area. Holiday apartment 276166 This is how we would describe our apartment in a few words:Inside: simple studio styleOutside: Checkpoint CharlieOur apartment Wilhelm Checkpoint is located in the central and beautiful Kreuzberg area. Holiday apartment 276391 'RATED EXCELLENT''One of the most popular vacation properties in the region' Home Away'WINNER - Top Vacation Rental, Berlin'Downtown city landmark near Checkpoint CharlieBest location if you want to reach most sights on foot. Restaurant Centolire, Berlin Guest reviews: 9/10 ~ 1 km from Apartment & Boardinghouse Berlin Friedrichshain-Kreuzberg Address: Leipziger Strasse 128, 10117, Berlin. Cuisine: Italian. Restaurant Fassbender-Rausch, Berlin Guest reviews: 9/10 ~ 1 km from Apartment & Boardinghouse Berlin Friedrichshain-Kreuzberg Address: Charlottenstrasse 60, 10117, Berlin. Cuisine: Café. Restaurant Caffe e Gelato, Berlin Guest reviews: 9,4/10 ~ 1,3 km from Apartment & Boardinghouse Berlin Friedrichshain-Kreuzberg Address: Alte Potsdamer Str. 7, 10785, Berlin. Cuisine: Ice Cream. Restaurant FACIL, Berlin Guest reviews: 9/10 ~ 1,3 km from Apartment & Boardinghouse Berlin Friedrichshain-Kreuzberg Address: Potsdamer Strasse 3, 10785, Berlin. Cuisine: Eclectic, International. Restaurant Vanille & Marille, Berlin Guest reviews: 9,8/10 ~ 1,3 km from Apartment & Boardinghouse Berlin Friedrichshain-Kreuzberg Address: Hagelberger Strasse 1, 10965, Berlin. Cuisine: Ice Cream.